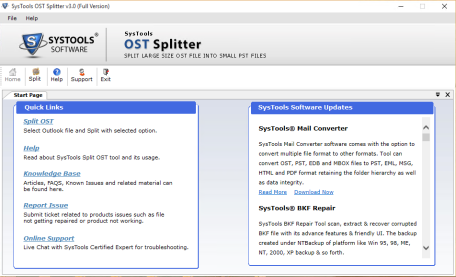 ﻿ Complete Conversion of Products With Screenshots. 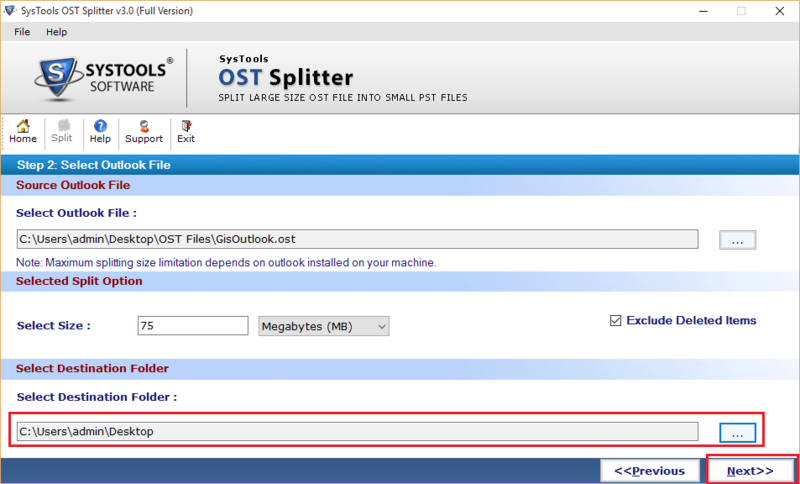 Go to Split option as shown given below. 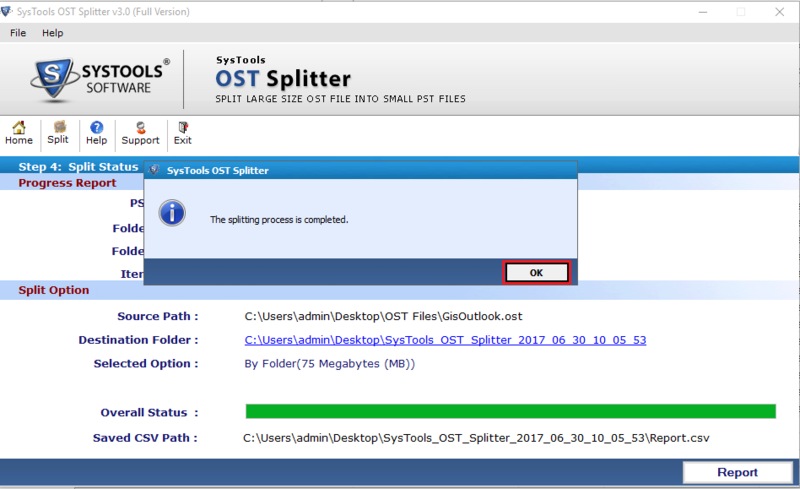 In the Next step select the version of OST file i.e. 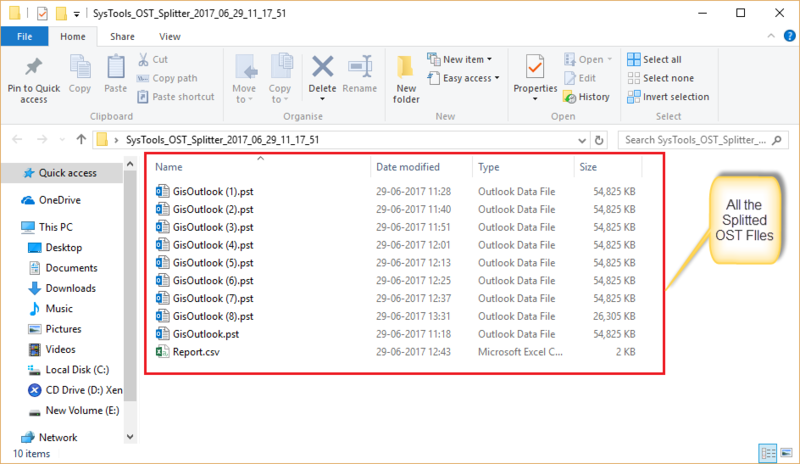 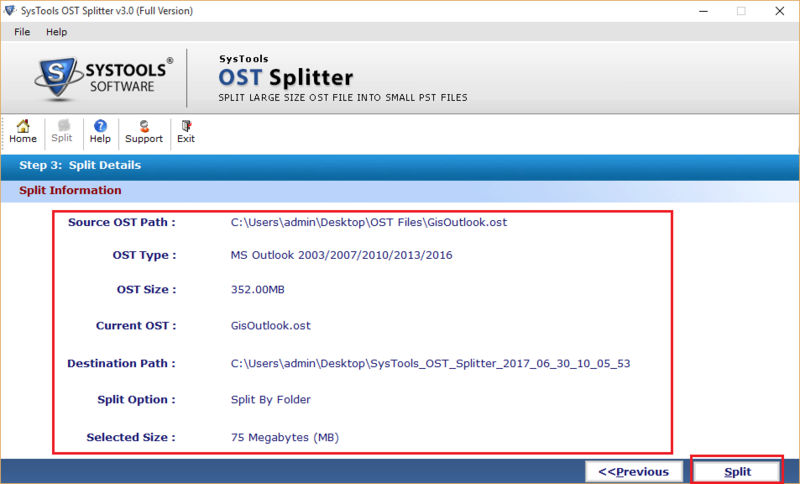 Microsoft Outlook 2000/2002 or Microsoft Outlook 2003/2007/2010/2013/2016. 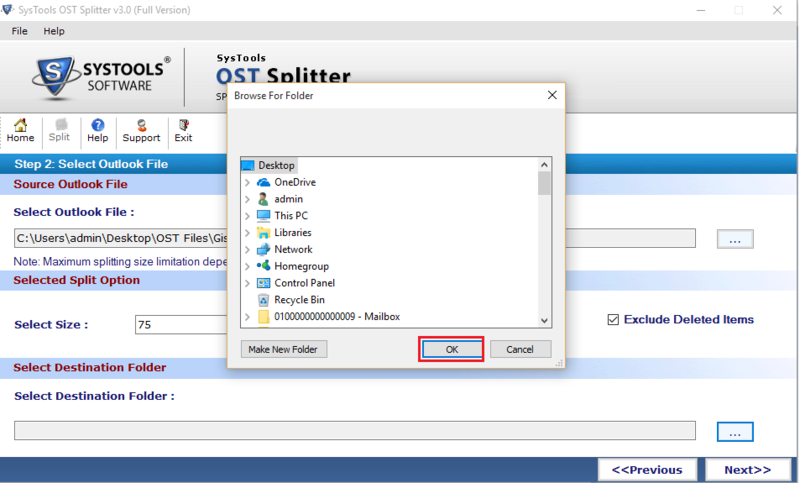 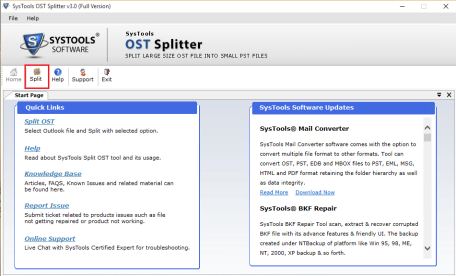 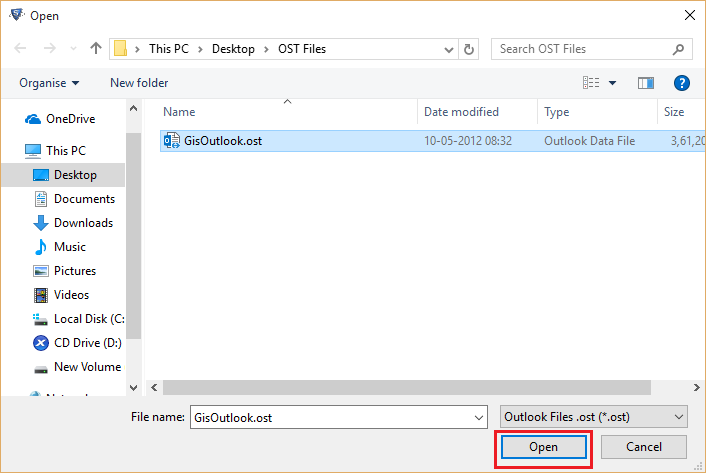 Navigate the OST file and click on Open Button. 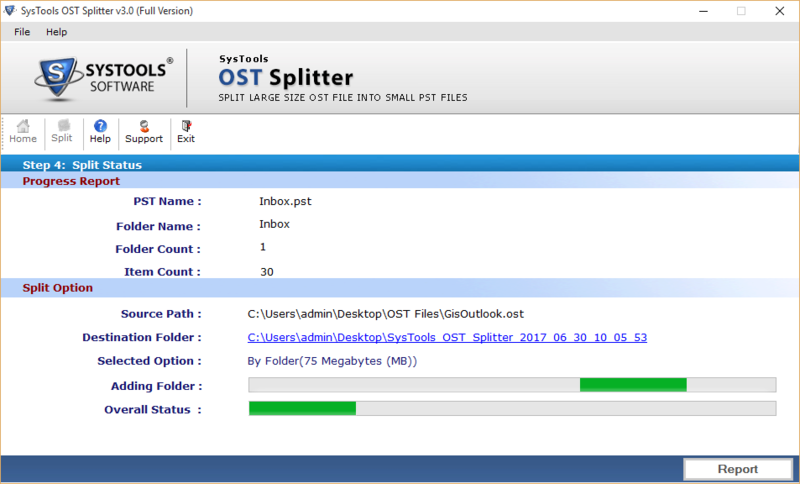 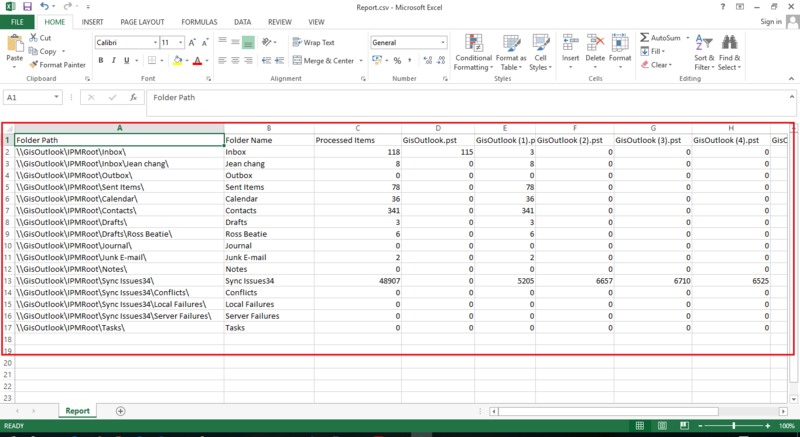 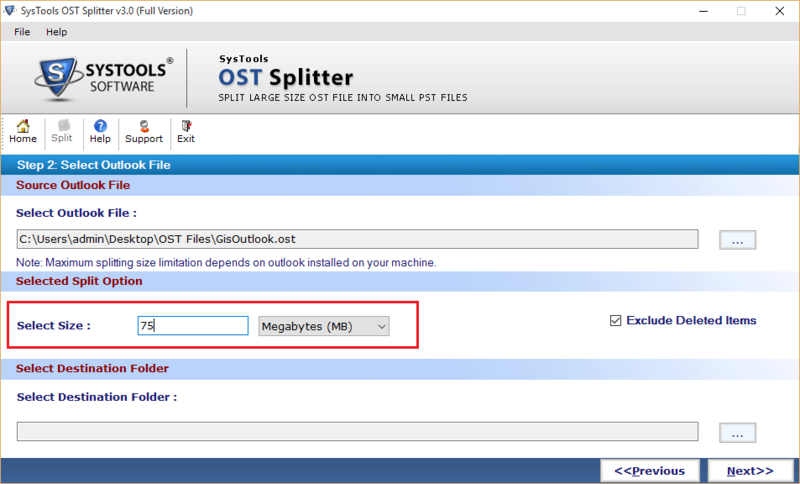 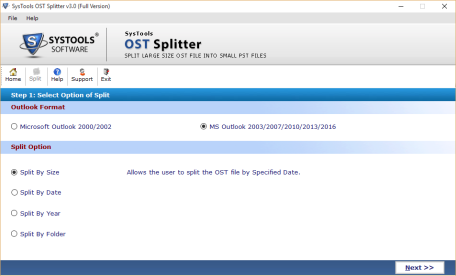 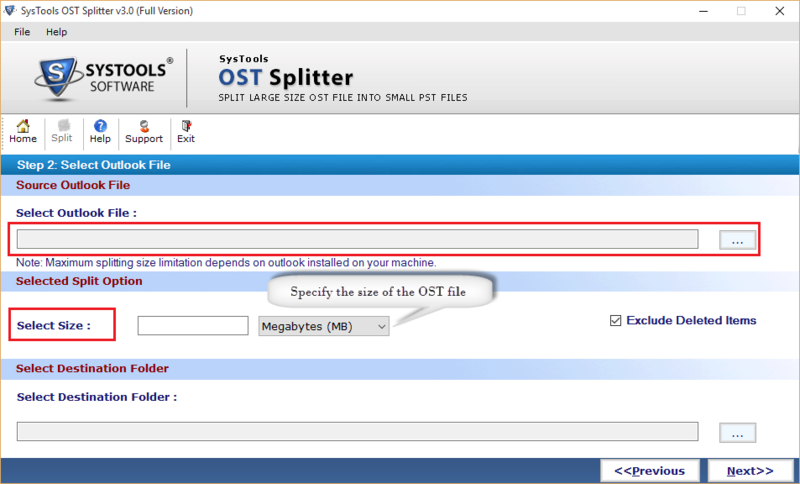 Specified path will be displayed then select the size in which OST file will be split. 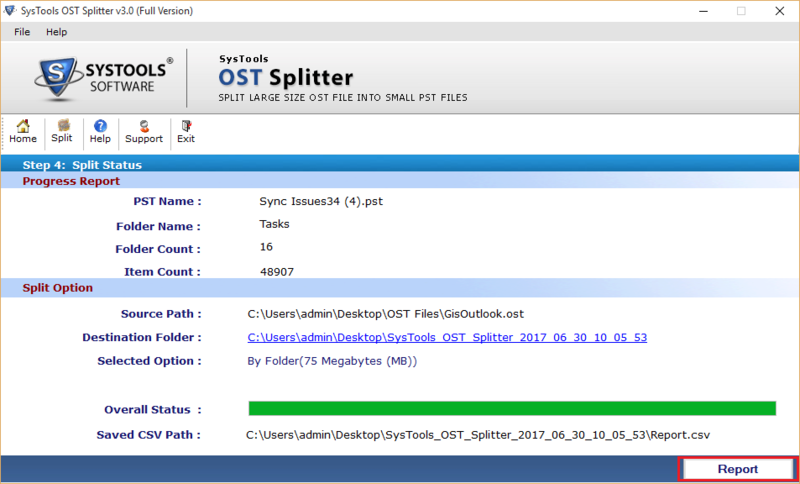 At the end you can view the final OST file that are split into the particular location.